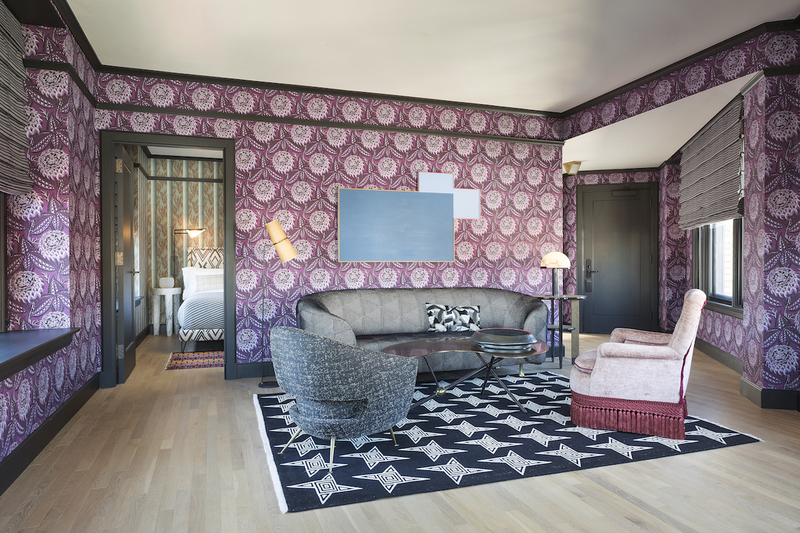 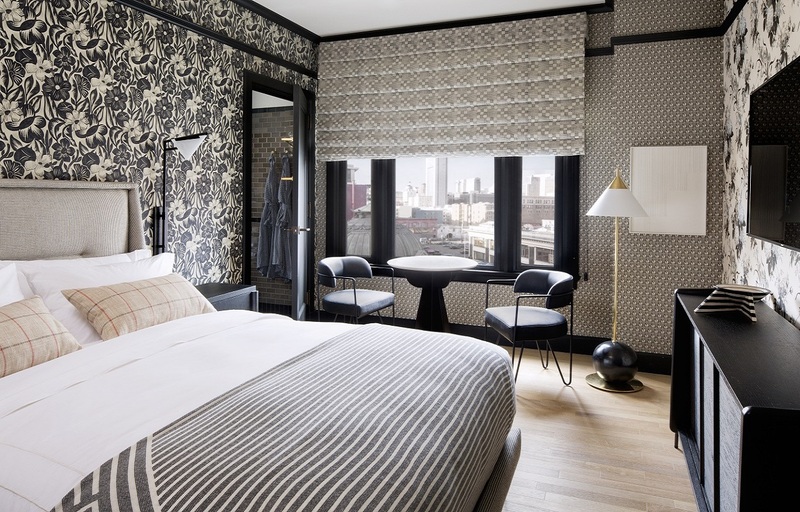 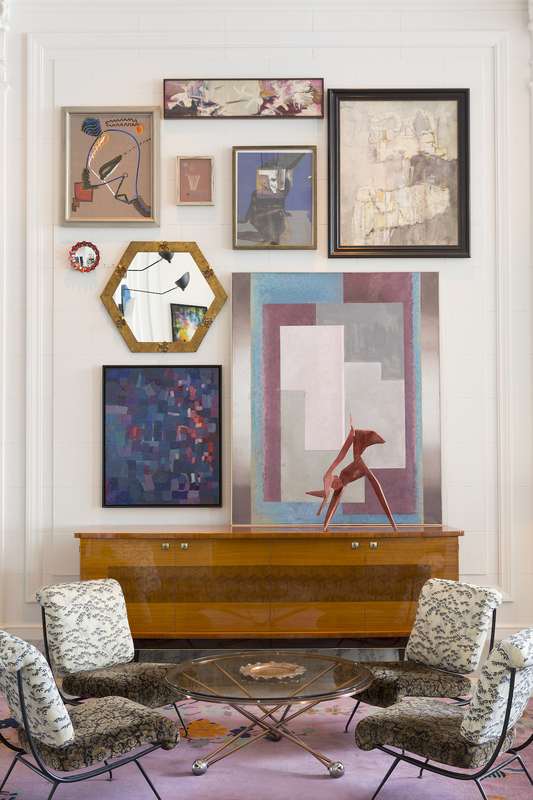 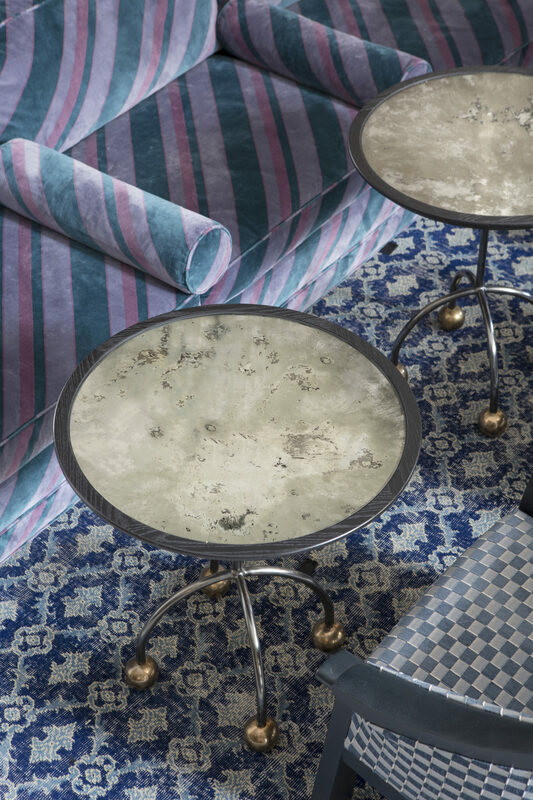 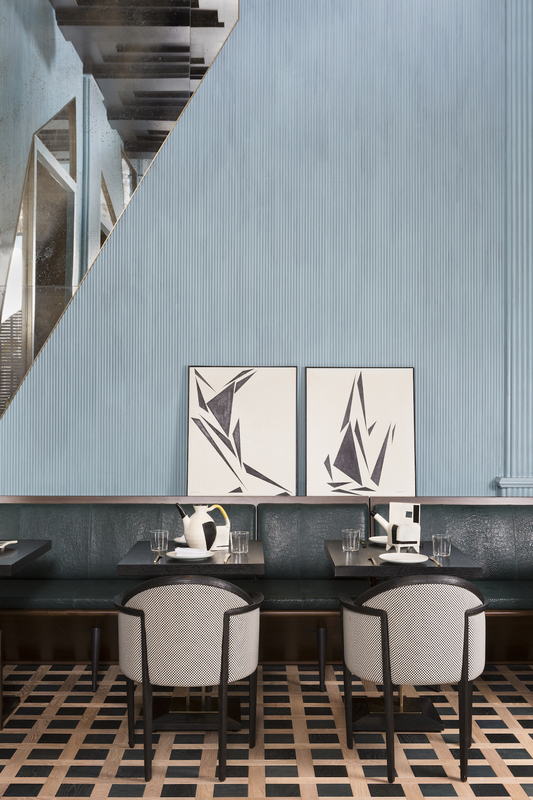 Designer Kelly Wearstler transforms a turn-of-the-20th-century building into Proper Hotel, a visual feast with custom-print wallpapers and a range of colorful textiles. 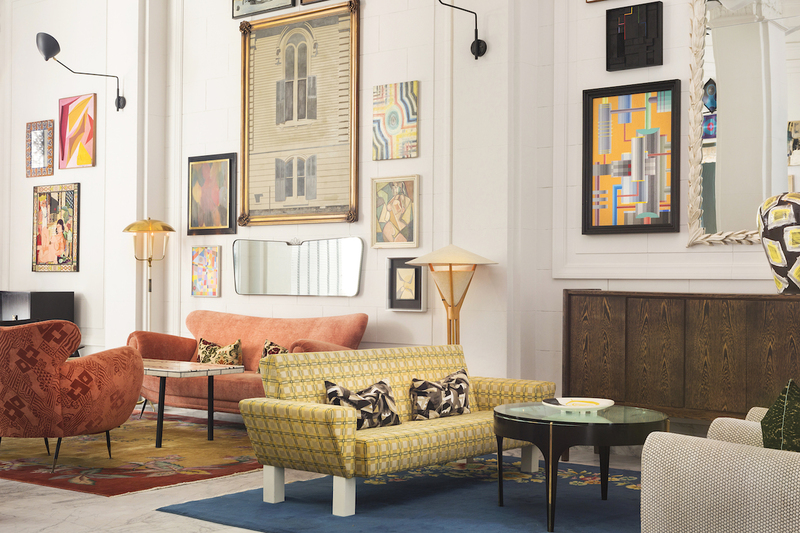 Once a hangout for the city’s social set, Mid-Market had degraded into an enclave of vagrancy—and, infamously, widespread public urination—in the 1980s, its architectural heritage left to crumble. 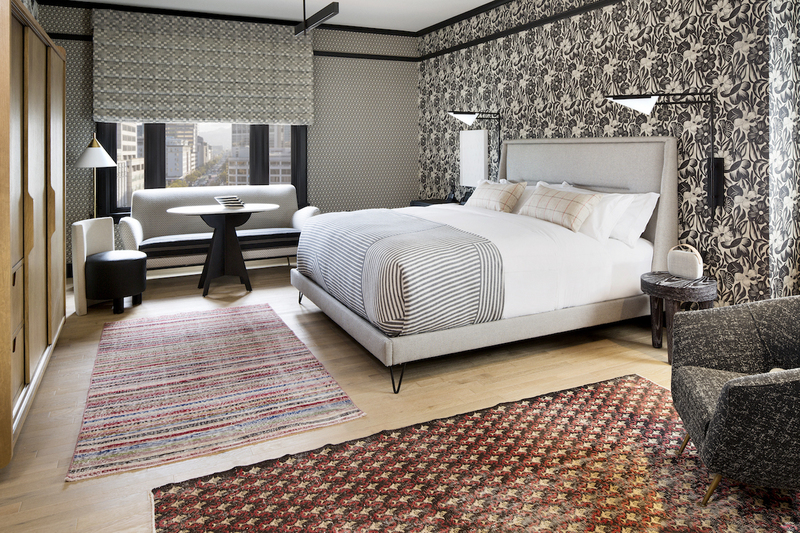 The arrival of Twitter’s headquarters in 2012, and later Uber’s, hinted at renewal for the neighborhood, but no project has matched the excitement generated by Proper Hospitality’s new flagship, the first in a string of hotels that will fan out to Santa Monica, Los Angeles, and Austin.